Brexit – What The FDI Happens Now? It’s not my aim to foist my opinions on anyone, I can only relate facts in an even handed way as possible and rely for the greater part on statistics. The data I’ve used is largely from the Office of National Statistics Winter 2017 report , but be aware statistics can and do get revised. The ONS announced a major overhaul of historic data in July 2016. The best way to view them is as trends rather than absolute truths. ‘There are lies, damn lies, and statistics’. My background is in Business and Commerce. I used to be an Accountant of sorts, specialising in small businesses, which leads its exponents toward pedantry. Accountants always err in favour of caution; being boring is a skill. Ten years later I abandoned Accountancy to put my skills to better use, but didn’t abandon my fascination with Business and Commerce. From running my own business, I accidentally moved into the challenging and risky world of the Commercial Business dealing directly with, amongst others, large corporates and the public sector across the UK. Over two decades later have not yet escaped. All of humanity lives here and I think in my time I have met them all. Anyway, qualification made, caveats noted, please read on. Its July 2017, the British weather can’t decide whether to boil us or drown us and the Brexit negotiations roll on. On the 23rd, amongst the endless array of internet gossip with Brexit in the title is a blog from http://www.iiea.com/blogosphere ( Institute of International and European Affairs) called Brexit : Employers Speak, by Tony Brown. 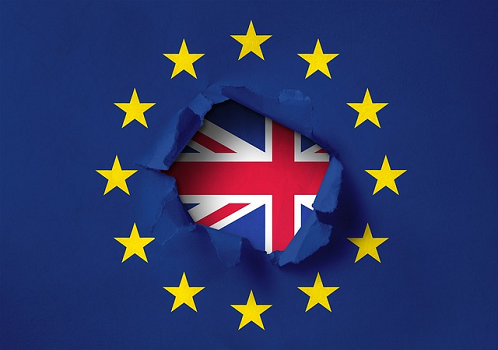 In London a short, but clear, statement was issued by five organisations – British Chambers of Commerce, Confederation of British Industry, Institute of Directors, Federation of Small Businesses and Engineering Employers Federation EEF. Economic principles for the final agreement between the UK and the EU27 were set out, covering tariff-free goods trade between the UK and the EU; minimal customs formalities at the land, sea and air borders between the UK and the EU; regulatory equivalence and mutual recognition of standards on an ongoing basis; a flexible system for the movement of labour and skills between the UK and the EU; on-going UK participation in those pan-European programmes, initiatives and agencies which add real economic value to communities, businesses, young people and universities; and protection of the benefits of free trade agreements currently delivered through the European Union. This initiative by British business interests was supported by a statement by Business Europe, the umbrella organisation for EU employers’ federations, which said that Business Europe wishes to play a constructive role in establishing a sound model for future EU-UK relations, and urged negotiators on both sides to reach a withdrawal agreement as soon as possible, in order to begin talks on transitional arrangements and the future relationship. At the hub of this are concerns over stepping away from the Single Market which is defined by the free movement of goods, capital, services and people, common tariffs and regulations. Not forgetting of course the Euro allowing trade in a common currency. But why should that be a concern? The British economy is based on British institutions forged out of a Great Britain and British Business and Commerce surely. And we still have Sterling, that most British of British institutions. Don’t most of our finest, if not all, noble and successful British Companies stamp their British identity by adding UK after their name. Or are the great British public, defined by their selfless devotion to monarch and country blinded by that same nationalist leaning.